In spring 1974, a conference on the Caribbean was held at the Latin American Centre, Liverpool University, convened by Colin Clarke. During 1975 and 1976, further meetings were called by David Lowenthal to discuss the development of Caribbean Studies in the United Kingdom. These led to the establishment of a Society for Caribbean Studies, which held its inaugural meeting at the University of York in 1976. This meeting was attended by some 70 persons from the United Kingdom, the Netherlands, Germany, Denmark and the United States. The first officers of the Committee of the Society were elected in 1976. Conferences of the Society have been held in locations around the UK every year since the inaugural meeting of 1976. 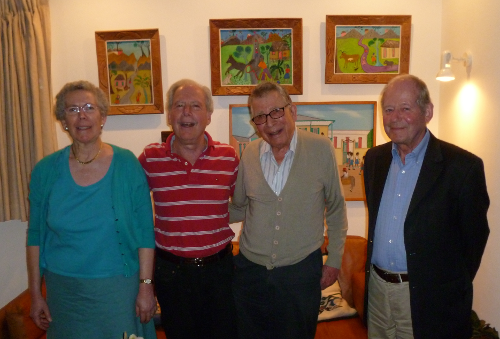 The early founders and pioneers of the Society have since been recognized as Honorary Life Members, including Professor David Lowenthal and the late Richard Hart (awarded honorary membership in 1989), Professor Colin Clarke (2004), Professor Jean Besson (2010), Professor Gad Heuman (2011), and Professor Gertrud Aub-Buscher (2012). The Society looks forward to celebrating its fortieth year in 2016.